Da Capo Press, 9780738213798, 272pp. The couples in this book hail from across America and the world. Most don t live in New York City. Some never did. What mattered to me was that they met there, in one of its iconic public places. Each of the nine stories begins just before that chance meeting when they are strangers, oblivious to how, in moments, their lives will irrevocably change. The handsome Texas sailor who offers dinner to a runaway in Central Park. The Midwestern college girl who stops a cop in Times Square for restaurant advice. The Brooklyn man on a midnight subway who helps a weary tourist find her way to Chinatown. The Columbia University graduate student who encounters an unexpected object of beauty at the Metropolitan Museum of Art. A public place in the world's greatest city. A chance meeting of strangers. A marriage. Heart of the City tells the remarkable true stories of nine ordinary couples from the 1940s to the present whose matchmaker was the City of New York. 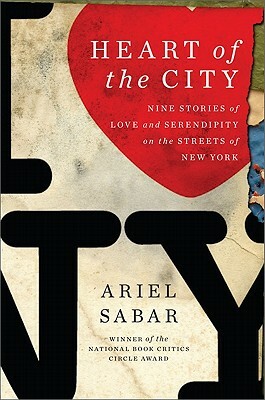 Intrigued by the romance of his own parents, who met in Washington Square Park, award-winning author Ariel Sabar set off on a far-ranging search for other couples who married after first meeting in one of New York City's iconic public spaces. Sabar conjures their big-city love stories in novel-like detail, drawing us into the hearts of strangers just as their lives are about to change forever. In setting the stage for these surprising, funny, and moving tales, Sabar, winner of the National Book Critics Circle Award, takes us on a fascinating tour of the psychological research into the importance of place in how and whether people meet and fall in love. Heart of the City is a paean to the physical city as matchmaker, a tribute to the power of chance, and an eloquent reminder of why we must care about the design of urban spaces. Ariel Sabar's first book, My Father's Paradise, won the National Book Critics Circle Award for Autobiography. He is an award-winning former staff writer for the Baltimore Sun, Christian Science Monitor, and Providence Journal. His work has also appeared in the New York Times and Boston Globe, among many other publications. He teaches creative writing at The George Washington University and lives with his family in Washington, D.C.